Everything Porsche 50th Anniversary Spring Tour. Read the recap here. We are in the midst of the driving season and enjoying every minute of it. In this issue of Steinlifters Online you can read about upcoming events as well as a recap of the ways in which members and their cars proved PCA's slogan -- It's not just the cars, it's the people. Hope to see you at one of our events coming up. We offer a full schedule of driving fun and the camaraderie of being with others who enjoy the experience of owning and driving a Porsche. Happy motoring. July 12 - Driver education at Blackhawk Farms. Register online here. Or go to the Events>DE section of our region site for an overview and other important information. Blackhawk is a great track for novices to get bitten by the DE bug. Sign up today. July 17 - Everything Porsche at Porsche Park at Road America. Hundreds of Porsches will be parked at Porsche Park as drivers and race fans take in the Kohler International Challenge. Porsche Park will be the site of festivities that will include an appearance and informal talk by Brian Redman, legendary Porsche factory race driver. Brian has many rich experiences to share from the days when he drove in some of the world's most celebrated races. A 917 will also make a visit but it won't make any speeches. If you have not seen a 917 up close, this is your chance. Join us. This will be a highlight of the summer for Porsche nuts. Details here. For the full schedule of the July 16 - 18 Kohler International Challenge with Brian Redman, click here. July 20 - Porsche Night at Brew City Grill. Park your car in this informal gathering. Brew City's summer car nights information is available here. This is not a region-sponsored event. Aug. 1 - Milwaukee Region's "show and shine" car show and competition. This is a scaled-down version of a concours d'elegance with judging of the external side of the car only. If you don't feel like cleaning and polishing for hours beforehand, just come out and be part of the parking lot gathering. Lots of Porsches and Porsche talk. Host is International Porsche - Waukesha. Details here. No cost to participate. No RSVP needed. Just show up. Region members Mike O'Krongly and Jay Heppe are organizing this event. Aug. 8 - Drive to Botham Vineyards near Barneveld (west of Madison) to enjoy Botham's annual vintage car show on the beautiful grounds of the vineyard. This is a spectacular setting for a picnic lunch surrounded by beautiful cars. Each year a different marque is featured. This year it's Alfa. There is an entry fee at the gate. Food and beverage available on the grounds or you can bring your own. 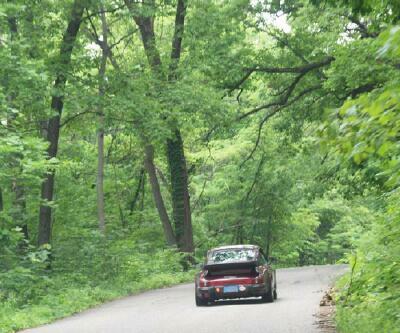 The driving tour will start from Lake Mills. Please see these details for time of departure, meeting location, etc. Tour leaders are Kim and Rick Zinda. Aug. 15 - Special 50th anniversary Everything Porsche Autocross at Miller Park. Save the date. In addition to an autocross, this is for all members -- autocrossers and spectators -- as we will have a catered picnic deluce catered box lunch for attendees and drivers. Choice of one of five delicious lunches for $10 including a beverage. You can also drive the course yourself to see what autocross is all about. If you want to participate in the autocross get details here. Sept. 12 - Multi-region autocross in Maywood Park, Ill. More details coming. Sept. 25 -- The big gala 50th anniversary Everything Porsche banquet at the Wisconsin Country Club with featured guest speaker Burt Levy. Keep this date circled on your calendar. The event will feature silent auction and other fun activities in a beautiful setting to cap off the year-long celebration of the 50th year of our region's charter as a region of Porsche Club of America. Jim Lewan and his wife Kris join our region with their 1984 Carrera Targa, red in color. This is the second Porsche for the Lewan’s, noting “we owned a 1999 Boxster, before starting a family.” Jim found the ’84 Carrera through AutoTrader. Kris is a marketing professional and Jim is a manufacturing engineer in Appleton. Jim says that he’s interested in drivers ed and tech sessions. 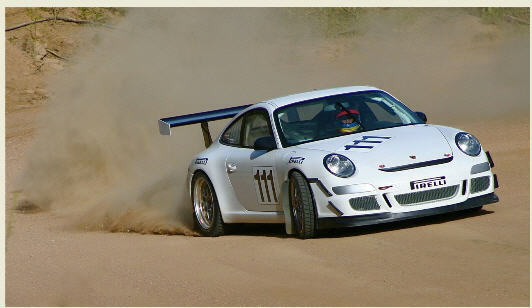 “We recently watched a few friends from Chicago region track their GT2 and GT3. I will eventually participate in DE at Road America and Blackhawk,” he said. PORSCHEPLATZ is coming to Road America again this year on Saturday, Aug. 21, and Sunday, Aug. 22, and the organizers are looking for volunteers to help with various activities. Porscheplatz is a special parking corral for Porsches during the American LeMans Series races. Saturday’s duties will primarily include setting up tables and chairs, and general organization of the tent, which will be professionally set up .Sunday’s duties will include manning a registration/membership booth, corral parking greeting and directing parking, and general hospitality. 1st shift from 8 a.m. to 12:30 p.m.
2nd shift from 12:30 p.m. to 5 p.m.
Workers selected will receive Volunteer Gate Pass Credentials and there will be five (5) parking passes issued for each day. These can be used by the same people for two days, or passed on to another volunteer for those who can only assist one day. Visit the American LeMans website for more information about this special series of racing events. June 6 Autcross results - Check out the results for the June 6 autocross here. June 12 Driving Tour -- More than two dozen Porsches enjoyed a day of driving in the region's Everything Porsche 50th anniversary spring drive. Recap here along with photos. Classifieds - You can advertise your Porsche-related items for free. Instructions on how to submit an ad can be found at the top of the classifieds page. at Pikes Peak. Read the details of his victory here. Five Porsche factory drivers top podium at 78th running of Le Mans. Read the report here. J.D. Power ranks Porsche number one in quality. Details here. Need to contact a committee chair or a member of the board? Click here for the region's contact list. Region member Mike Wiviott photographed the excitement of the NASCAR Nationwide Series Bucyrus 200 at Road America in June. Check out more of his photos from this event.